Integrative Wellness Counseling offers an opportunity to explore the places where you feel stuck or need extra support in your life. Becoming aware of your feelings and thought patterns can help you alter your perspective and give you control over what you choose to believe. By increasing awareness, there is an opportunity to cultivate self-worth, choice, recognize patterns and create self-care practices. As a graduate of CIIS in Counseling/Psychology, Laurie helps you explore where you would like to make changes in your life. 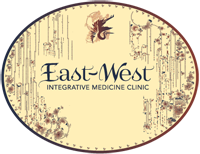 She provides support for Fertility, Pregnancy, Postpartum, Anxiety, Relationships, Intimacy, Life Cycle Changes, Work/Family Transitions, Parenting, and General Health/Well-being. She uses different techniques for exploration including art, guided meditation, dreamwork and parts work. She offers guidance around cultivating self-love and empowerment. She provides couples counseling and can help you and your partner(s) with better communication and intimacy. She offers tools, ideas and resources in her sessions to integrate into daily life. Laurie can work closely with your current healthcare providers, creating an integrated approach to your overall health and well-being. With over ten years of experience, she offers knowledge, presence and help cultivating more joy.